Build Programs, Not Jails fights for alternatives to incarceration in Champaign county, Illinois. Build Programs Not Jails has issued a statement in opposition to a proposal made by the Champaign County Housing Authority (CCHA) to the Urbana School Board on November 1, 2016. In the proposal, Ed Bland, the executive director of the CCHA, proposed a data sharing agreement between Urbana District 116 schools and the county housing authority. Bland stated that he would use attendance data as a requirement for pubic housing eligibility. Build Programs Not Jails will deliver the following statement at the USD116 school board meeting tonight, November 15th 2016. The mission of Build Programs Not Jails is to promote alternatives to incarceration in Champaign County, Illinois. We believe that every member of our community deserves to be treated with dignity and we envision a safe and thriving community for everyone. As an organization that closely follows the complexities of incarceration both in Champaign County as well as across the nation, this proposal seriously concerns us. When asked by a board member what the data would be used for, Bland answered that it would indeed be used against the family from being eligible for public housing should the child in the home not meet attendance requirements. While many towns have done data sharing to try to combat truancy, a serious consequence of such a collaboration could end in eviction for many families in need. Children who are living in poverty are already at a higher risk of encountering the criminal justice system and eventually being incarcerated. The rates only go up for those individuals who are homeless. Another serious consequence of such a proposal is that this could turn us towards the criminalization of truancy. In Texas, tens of thousands of students are charged with truancy if they miss 12 days of school or more. These misdemeanor charges end in piles of fines, fees, criminal records, and even sometimes incarceration for youth or their families. We believe that such a collaboration, the way it was presented on November 1st, would strengthen the school-to-prison pipeline in our county. Additionally, we need to keep in mind that our friends, family and community members returning from prison are frequently banned from public housing which makes it incredibly difficult for them to reenter society. Formerly incarcerated individuals – many who experienced poverty or homelessness before entering prison – are now faced with it again. We in no way support the continuation of this cycle of poverty and incarceration that starts at such a young age. We strongly believe that as a community we need to shift the focus away from punitive measures that deepen mistrust and increase rates of incarceration. Instead, we hope that a more compassionate and effective strategy for combating poverty as a systemic problem for the county’s children be made a priority. Victory Against the Sales Tax! Now What? We at BPNJ would like to extend our sincere gratitude to all members of our community who have come together to address the issues of mass incarceration and jail construction in Champaign County. We are very lucky to have such strong support in promoting programs within our county that divert our friends and neighbors from jail cells into journeys of healing and justice. Our county overwhelmingly voted NO against this referendum! While we will take a moment to celebrate this victory we know that it is but one part of a larger picture of decarceration. We are excited to move forward in our work and would like to offer the following steps (see below) as a place to start. We would also like to say a special, “Thank You!” to everyone who dove into this campaign against the sales tax referendum and volunteered their time and energy handing out flyers, distributing and displaying yard signs, attending meetings, building relationships with collaborating organizations, making phone calls, sending emails, hosting films and discussions, using social media, and so much more. Champaign-Urbana continues to prove that it cares about these issues and that people will show up for their community. Specific organizations and individuals that were integral to the success of this campaign include the Graduate Employees Organization Solidarity Committee, Black Lives Matter Champaign-Urbana, Illinois State Representative Carol Ammons, Urbana Alderman Aaron Ammons, the North End Breakfast Club, Champaign-Urbana Citizens for Peace and Justice, Champaign County board member Josh Hartke, Champaign County board member Matt Hiser, incoming board member Robert King, incoming board member Kyle Patterson, Laura Wisekamp, and from the documentary “13th” James Kilgore, Cory Green, and Malkia Cyril. Lastly we would like to invite you to attend our upcoming meeting on Monday, November 14th at 6:30pm at the IMC (202 S. Broadway, Urbana). Let’s start this post-election season together and not just to defend against jail construction but to actually build real-life alternatives to mass incarceration. The vision that Build Programs Not Jails holds for the future of Champaign County is a just and thriving community where everyone is valued and has equal opportunity. In coalition with the Graduate Employees’ Organization, Black Lives Matter – Champaign-Urbana, and the North End Breakfast Club we have opposed the so-called public facilities sales tax referendum because it would make it too easy for the County Board to spend millions of taxpayer dollars on jail construction that would move the county further from this vision. We thank the voters of Champaign County for taking this issue seriously and defeating the referendum, and we pledge to continue to fight for alternatives to incarceration. Support the Champaign County Nursing Home – the Nursing Home is important to the quality of life of both its residents and their families, especially those that are Medicaid recipients. A few members of Build Programs, Not Jails stayed up late last night to watch election results roll in and share our vision with the press. Saturday, October 29th at 1pm in Douglass Park in Champaign, BLM-CU will be hosting a community rally against the sales tax and against anti-Black racism in C-U. BLM-CU’s Facebook event can be found here. Last Chance for a Yard Sign! We have a limited supply of yarn signs left so get them while they last! You can visit us at the Urbana Farmer’s Market every Saturday or fill out the form below and one will be delivered to your doorstep. Yard signs are free. Donations are not necessary but always appreciated. We’ve put together a very brief overview of the Champaign County jails in order to help community members to understand some of the process that has led to our current situation with the sales tax referendum. Yard Signs and Printed Materials Available! We’ve got yard signs! If you’d like to adorn your yard or window with one please contact us or visit us at the Market at the Square (at Lincoln Square Mall in Urbana) every Saturday until election day. They are free or if you’d like, by a donation amount of your choosing. We also have several printable materials you can use to share information about the sales tax with your friends and neighbors. See our resources page here. There have been many questions about the “Public Facilities” sales tax referendum that will be on the ballot in our county this November. To help dissect this controversial ballot measure, Build Programs Not Jails will be hosting an educational panel and discussion. Panel members include impacted community members, volunteer activists that work with incarcerated individuals, and people familiar with the referendum history. Urbana Alderman and long-time activist, Aaron Ammons, will moderate the panel that explains the details of the referendum, lays out possible alternative paths for solving the county’s facilities issues, and outlines the case for opposing the sales tax referendum. A dialog with the audience will follow the panel. Light food and refreshments will be available. People leaving the Champaign County Board meeting last night were met with a window full of anonymously placed signs calling for an end to jail funding and anti-Black racism. Last night Build Programs, Not Jails delivered a statement cementing our position against a sales tax referendum that would heavily fund jail construction in our county. The referendum passed the board with a vote 15-2 in favor of the 1/4 cent sales tax increase for “public facilities” and will be on the ballot for voters in November. Unfortunately, the current proposal allocates millions of dollars towards expanding the satellite jail facility and has zero funding for alternatives to incarceration. The proposal also fails to mention strategies for dealing with Champaign County’s high rates of racial disparity in the jails. Several community members showed up and spoke against the jail construction on the proposal and vowed to fight against the referendum up to election day. Below is the statement delivered by BPNJ and cosigned by the Young Democrats, the North End Breakfast Club, Students for Justice in Palestine, the Graduate Employees Organization, and Champaign-Urbana Citizens for Peace and Justice. 1. A decision on constructing or renovating jail space should be made in the context of considering how to decrease the number of people incarcerated, and only after that is addressed should jail construction be included in a proposal on facilities and maintenance. Given the serious incarceration debate that has taken place in our community, any attempt to address issues of jail construction must be considered as part of a political process which examines the criminal justice system as a whole and includes participation by the community. We must pay special attention to including the Black community, which has been most seriously impacted by incarceration. 2. The Facilities Action Plan neglects virtually any measures that would keep people out of jail or reduce jail numbers. While the jail is labeled as an immediate priority and is put in Group A, the only proposal to reduce the incarcerated population is for a Behavioral Health Services Facilities, which is in Group C: “Projects in this group are conceptual only. They require further study relative to the construction and operational costs to be incurred as well as funding strategies.” As an important alternative to incarceration and the absence of behavioral health services in our county, this project should be a top priority in the critical group, not at the bottom of the list. 3. The presentation of the Facilities Action Plan claimed that between closing the Downtown Jail and new construction at the Satellite Jail there would be a considerable decrease in the overall jail capacity, whereas in fact it is only a 10% decrease from 313 to 282 (additionally, not all cells in the downtown jail are currently available for use). The presentation also said the plans for the jail reflected a 40% decrease in cost compared to the 2015 Sheriff’s Office Master Plan, not recognizing how outrageously expensive that plan was. 4. The referendum proposal was presented in the context of the Facilities Action Plan, which outlined priorities and allocations of funding. However, when members of the public attempted to criticize that plan, we were told the plan meant nothing, that the next board would develop the actual plan. This appears to be a conscious deception calculated to obscure the essence of the board’s intention and to cover up the excessive funding to be directed to the jail. Likely the debate over jail construction has been the most hotly contested political issue in this county in decades. Incarceration is unnecessary for the majority of people who are arrested, and can further disrupt people’s lives, especially for low-income individuals. However, the county board’s referendum is a quick-fix solution aimed at ignoring the problems and solutions that the community has brought to this board for the last four and a half years. We reject this plan and hope that the county will come forward with a solution to these problems that breaks with the history of excessive reliance on incarceration to solve social problems, and which contributes to eliminating the racial disparity that has become a persistent feature of our county jail. It is time for a new direction. Stop the County Board’s Latest Scheme to Fund Jail Building – Urgent Action Required! The Champaign County Board is sneaking a multi-million dollar satellite jail expansion package within a “Facilities Action Plan” that they will discuss on Tuesday, August 9th and vote on on Thursday, August 18th. In an attempt to mask the plan for building more cells at the satellite jail facility, the county has included within this plan necessary repairs and maintenance of other facilities in with the proposal. Unfortunately, the current proposal allocates approximately 65% of the money for law enforcement purposes, including 36% ($18 million) for renovating and expanding the satellite jail, closing the downtown jail, and moving the sheriff’s offices. It has zero funding for much-needed alternatives to incarceration. This a “jail referendum” NOT a “facility referendum” as it is being advertised. For years, Champaign-Urbana citizens have voiced their opposition to further jail construction and have asked the board to push for alternatives to incarceration, including a mental health crisis facility. The current proposal does not allocate a single cent of immediate funding from the sales tax for facilities and programs that will keep people out of jail. Community members have also asked for attention towards and information about the deaths of three Champaign residents who died in the jail within a 7 month period; deaths which have yet to be adequately addressed by county officials. Routine maintenance on county facilities and continued advocacy for critical community programs for the health and safety of our county deserves support. However, we remain in opposition to expanding the satellite jail and feel that this “Action Plan” put forth by the board comprises much needed maintenance by attaching millions of dollars in unpopular jail construction. Mobilize to the board meeting on Tuesday, August 9th at 6:30pm at Brookens Admin. Building (1776 E. Washington St., Urbana) and stop the board from proceeding with this jail building referendum! Facebook event for this action is located here. “A recent rash of deaths has taken place in the Champaign County Jail, with three deaths in just over six months. All three were African American, in a jail where Blacks make up 60-70% of the daily population. They were each well-known in the community and will be sorely missed. • On Friday, June 10, 2016, Veronica “Love” Horstead (48) was found unresponsive in the jail. She was the mother of a six-year-old, and a 2014 graduate of Eastern Illinois University, but for years had struggled with drug addiction. Those who knew her say she had a smile that would brighten up a room. • On Easter Morning, March 27, 2016, Paul Clifton (59) was pronounced dead of “natural causes,” after multiple asthma attacks in the jail. He had been arrested late night at his home for a warrant of driving on a suspended license. After graduating from Urbana High School, he attended Morehouse College. 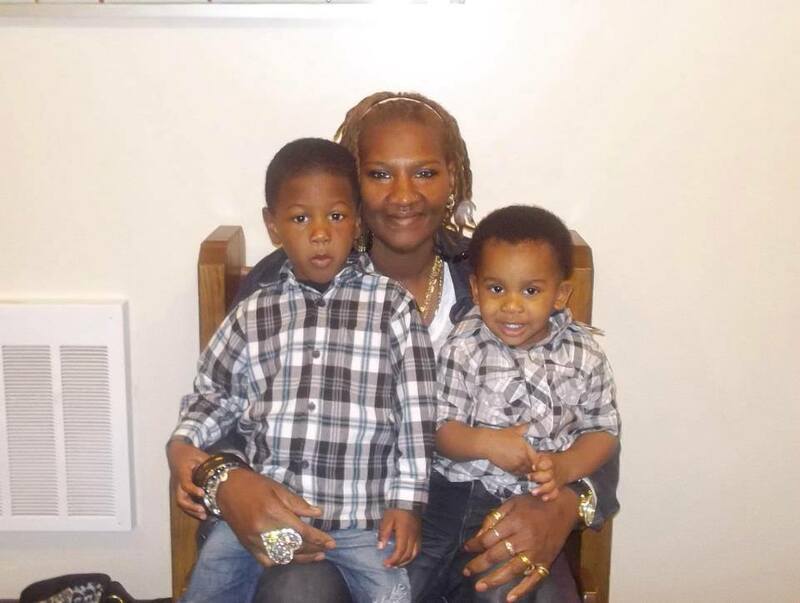 • On December 1, 2015, Toya Frazier (45) laid presumably dead in a solitary cell for nearly an hour and a half before being discovered by jail guards. She had spent the previous night screaming from the pain of heroin withdrawal. We will address the Champaign County Board during public comment on Tuesday night, June, 14, 6:30 p.m. at Brookens Administrative Center, 1776 E. Washington, Urbana.